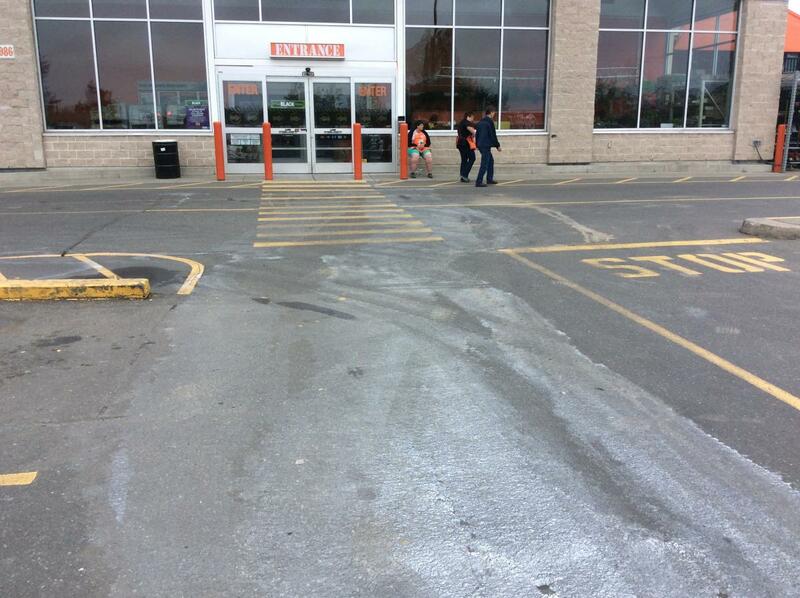 A HD employee told us he heard from someone in the paint department that it was a man. He said he lit "an incendiary device" but he may have meant an accelerant. CHEK news is there and we should hear the facts tonight. More often than not, arsonists are male. That may be true but women can be equally as good arsonists. 9 in 10 arsonists are male, looks like. Lumber yard and garden centre are open but no word on when the rest of the store will open. Note the river of paint coming from the front door. Damn, still not fully open and I need some things! I heard there is a Home Depot in Langford, but that seems sketchy. Is there any truth to the rumor that Mayor Atwell will lead a convoy out there? Smoke damage sale coming soon? 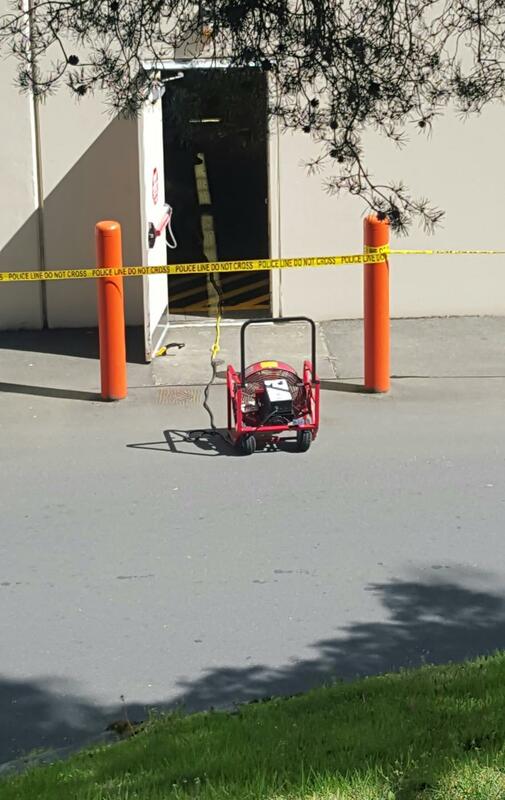 Saanich Police do not have a description of the suspect, but are working with Home Depot to obtain video surveillance. Witnesses – especially anyone who took video or photos of the incident – are asked to call the police tip line at 250-475-4356. Three days and the police still don't have the surveillance footage? Kind of solidifies the complaint you can never find floor service at HD. I mean, really, this person set a fire and got away? Police are not always forthright on what they have and don't have in terms of evidence. If they today said the suspect was wearing green pants and a red cap, you can bet he's throwing that stuff away today. I'm surprised no video of the fire has surfaced online - doesn't everyone pull out their phone when they hear fire bells these days? So are you accusing the police of lying and they actually do have the footage? But if they were honest right away, the public could have been alerted even without a description or footage. Maybe someone noticed their neighbor acting suspiciously or perhaps other businesses should have known an arsonist was loose. I realize police have to balance things. The article does not say they do not have the video footage. Police leave out lots of details, and yes sometimes put out misleading stuff. Textbook Investigation 101. "Saanich Police do not have a description of the suspect, but are working with Home Depot to obtain video surveillance"
Ya maybe some has been obtained. Every video system allows immediate playback even if cops can only view it and not take it with them. By the silence of staff maybe HD has an information lockdown policy. And they do not share video with police until a formal process. They are certainly under no obligation to produce it or show it. ...And they do not share video with police until a formal process. They are certainly under no obligation to produce it or show it. In these circumstances, why would HD not want to share any video evidence they might have? For a variety of reasons. Corporate culture says that they want to control the message. Why let Saanich PD make it an international story? That's just stupid. Potentially let an arsonist get away with a vicious act to "control the message"? No wonder Trump has so many followers, if this is corporate-think. The police will likely be allowed to view it, but maybe not acquire a copy of it.